Marriage? Never thought about it. I figured one day I would be married. Isn’t that what all boys end up doing at some point? We start out small, only caring about Tonka trucks and macaroni and cheese, and one day, out of nowhere, we grow taller, get hairier, become smellier, learn hygiene, and discover girls. But what if one day you wake up and discover that, while everyone around is getting hard-ons for girls, you’re fancying your best buddy instead? You realize that you’re not a wasted life. You’re not insignificant. People still do love you. And when you realize just how awesome you are, you try to find love because you have all of this awesome, self-accepted, awesome-y awesome love to give!!! But it’s not easy. It’s never easy, love. It’s complicated. It’s messy. It’s not ready for you, yet. Love isn’t ready. No, scratch that: Life isn’t ready for you yet. You’re ready for life, that’s for sure, but everyone else? That takes some adjustment. Especially when you find someone who loves you back because even though you think it’s simple, it’s SO not simple. … stolen kisses at the super market. … slipping into one another’s hands as you walk to the car. … giving/receiving hugs when you think the other isn’t paying attention. When you’re a dude who likes dudes, you just can’t do those things in public. At least that’s what we’re all taught, right? And if we’re not taught that, we’re just expected to know what’s considered unacceptable because dudes can’t be intimate with other dudes. And then we’re told we can’t marry. We can’t stand in front of our family and friends and pledge our love to one another and have it be legal, not just in our hearts and minds, but in the state we live in, the country we call home. And suddenly, all that stuff we never thought of when we were younger hits us like a ton of bricks because in between Ninja Turtle action figures and Hide and Seek and Monopoly and macaroni and cheese and playing in the streets with our friends, we actually DID think about one day having what our parents had because we would come home from all of that and sit at the dinner table and share in the love around us and be happy. We weren’t quite sure why we were happy because we were young, and what does anybody know when they’re young, right? But we knew that feeling. We wanted to feel human. Today, we witnessed the significant death of ignorance. You’d be wrong if you said it had nothing to do with you, because you are human, and human rights have to do with everybody. If you disagree, think about why you disagree. Think about all the young children who, right now, don’t even know the word that labels them to a society that is trying so hard to dispel hate, yet is failing at understanding why hate is even a problem, which is why the word “gay” exists. Until today, it existed as a label, to shun, categorize, and separate, but now it stands for pride. It stands for equality. It stands for love. Forget about gay, straight, bi-sexual, transgender. Forget about all of that. Think about the human beneath the label. 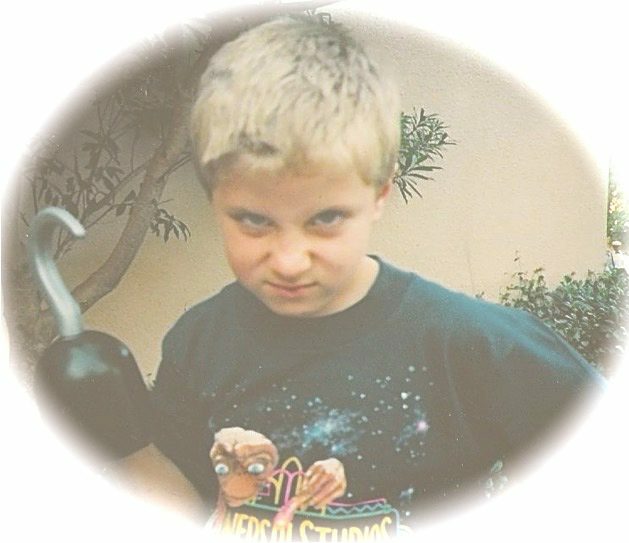 Think about the little boy who just wants to love. And be loved in return. 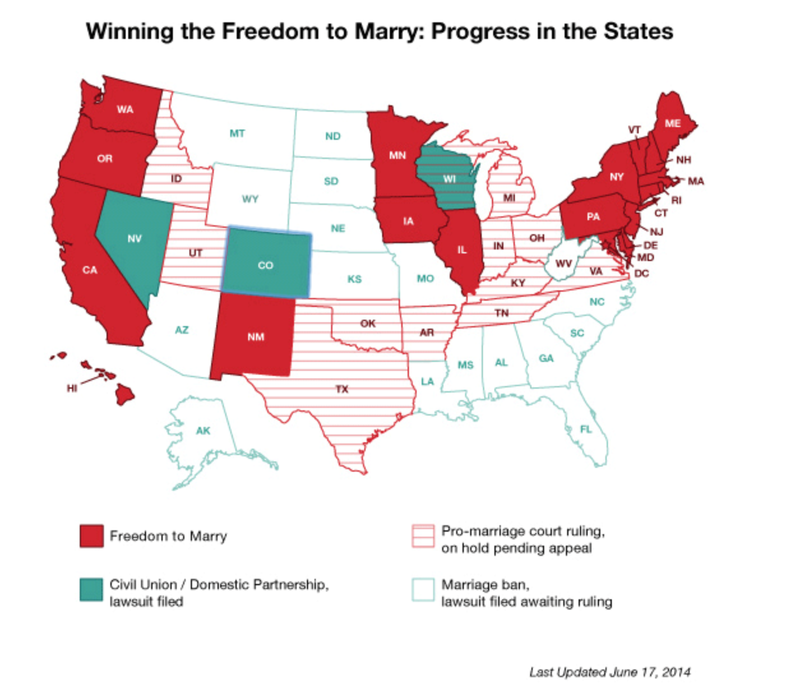 As of June 24th, 2014, 19 states had the freedom to marry. As of today, everyone has the right to marry.